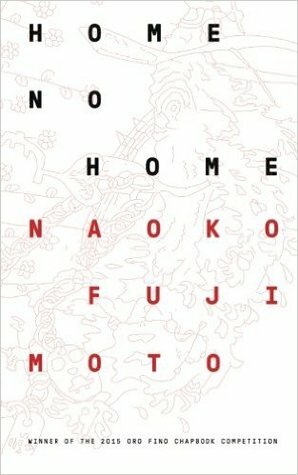 Home No Home by Naoko Fujimoto, which won the 2015 Oro Fino Chapbook Competition, has deep silences that activate the reader’s mind, which turns each moment over and over to make sense of the devastation. From the deadly tsunami in Fukushima to more subtle moments of broken lives, Fujimoto takes on a first-person narrative in these literary poems to draw readers into that sadness, that loss, that emptiness, the silence to render grief alive. In “Japanese Apricot Wine,” we see a child left behind by a mother after a long illness, which is likely cancer, and we see the shadows of those last days through the eyes of the narrator. “I open her last bottle. The sweet/smell spreads in the room like a cloudy//green nebula” … “The half eaten apricot is//brown.//She leaves it behind.//” There is a glimmer of happiness in the beginning with a memory of making apricot wine in April, and her mother’s continued love for it even in hospice, but it is clear the narrator’s train of thought will be dragged into sadness until the reader becomes painstakingly aware that her mother is gone. It is life as it is lived within these pages, and the first-person narratives bring that home in a way that is even more devastating. How do you reconcile the happiest moments, the homes you have with their ultimate loss. When a mother departs from this world, it can leave you unmoored. Do the happy memories serve to remind us of home or their loss? Like many things that would depend on perspective; how far are you from the moment of loss? Home No Home by Naoko Fujimoto is a stunning chapbook of poems that will touch readers deeply. The poems in these pages will leave an indelible mark upon you, one that you should wear as a badge of honor. Naoko Fujimoto was born and raised in Nagoya, Japan. She was an exchange student and received a B.A. and M.A. from Indiana University South Bend. “Home, No Home” is her first chapbook. Sounds good. I will check it out. Thanks. This sounds like a moving collection of poems. Excellent review! This sounds really good. Heavy, but really good. 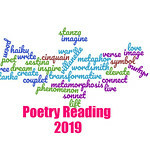 Seeing your love of poetry always makes me want to read more of it.